During the summer, I hate wearing make-up. How can I look my best with a bare face? Andi: With this sticky heat and frequent trips to the pool, I have been taking a vacation from makeup, too. I haven’t worn foundation in over a month and not only have I not missed it, but I haven’t had one blemish or breakout…a pleasant surprise. The natural look is all about the prep-work. If your skin is in good shape, people will notice your natural glow, not your lack of eye-liner. Start by exfoliating away the dead skin that dulls your skin and leaves it uneven. 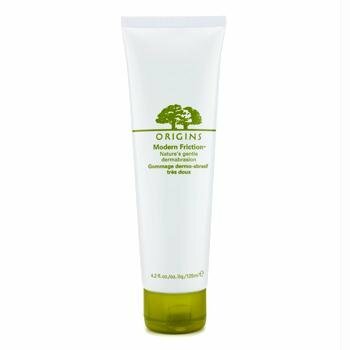 My mom and sister both rave about Origins Modern Friction: Nature’s gentle dermabrasion (Dillards, $37.50) and are so enamored they actually bought me my own so I could try it and they are right…I love the gentle exfoliating and saw an instant improvement in my skin’s tone. Of course, you need to moisturize, but as I’ve gotten older, regular face lotion isn’t enough. BeautiControl’s Regeneration Skin Renewing Lotion tightens my skin while moisturizing, which helps to minimize those pesky lines that are popping up everyday. The common misconception is that foregoing makeup means you don’t care what you look like or don’t try and that just isn’t true. But, nothing will make you look more like a crazy bag lady than rogue eyebrows and without the distraction of make-up, a neglected brow will be all the more obvious. If you are new to this amazing, yet torturous, grooming routine it’s a good idea to go into a salon to have an initial brow shaping and then maintain it at home with tweezing. In the past, I was anti-tweezing and had a waxing about once a month, but there has been a lot of talk about how waxing can cause your eyelids to sag over time so I gave in and have been brow-scaping at home. For slightly less painful tweezing, pluck after a hot shower so the hair follicles are loose. If you have a lot of work to do (like I do right now) a cool new trick I learned is to put a little Orabase mouth ulcer cream on your brow to numb the area first. Most importantly, do not over-tweeze! With no makeup on, a full brow will add much needed color and dimension, where an overly plucked pencil-thin brow will be a stark contrast to you otherwise natural face. Finally, keep your lips hydrated with Softlips Lip Balm, available at Walmart. It is super hydrating, but leaves a matte finish that looks great by itself or over lipstick. Going bare can take some getting used to, but when people tell you look nice or compliment your glowing skin, it feels wonderful, because it’s all you! 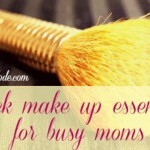 Have a question for Andi, beauty blogger and fellow mama? 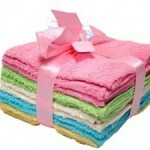 E-mail it to mamas@nwaMotherlode.com. Note from the mamas: The Summer Remix symbol appears on posts previously published on nwaMotherlode that were noted as a “reader favorite”. If you missed the original publication date, we hope you’ll enjoy this encore performance. Happy summer! Beauty Buzz: I hate wearing make-up! Beauty Buzz: How can I fix lumpy foundation?